You always dream of living in a home that is clean and fresh in every aspect. When everything inside your Waxhaw, NC home looks clean and perfect, your home living becomes more enjoyable. A sense of pleasure and satisfaction prevails only when you bother to keep the floors and carpets in your Waxhaw, NC home clean, fresh and hygienic. Using the most preferred residential carpet cleaning in Waxhaw, NC, Mr Clean Carpet Cleaning wants to add value to your home living. We include safe cleaning solutions and the most appropriate equipment in the cleaning process to perform beyond the expected standard. Our professional technicians will deliver top notch residential steam carpet cleaning in Waxhaw, NC – which doesn’t just restore your carpets, but also builds a healthy atmosphere to live inside. Our custom planned cleaning package is meant to give your home carpet a thorough cleaning touch with long lasting effect without the risk of harmful chemicals. Using the natural, safe and effective cleaning solutions, Mr Clean Carpet Cleaning commits to take out all the dust and dirt deposited deep down the surface of your carpets that may not go away with ordinary dry cleaning methods. Our talented carpet cleaners maintain a deeper cleaning approach that would result in an enhanced carpet life. 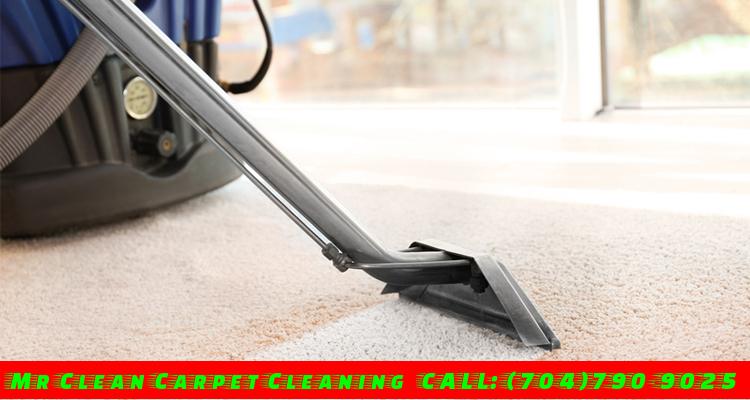 Entrust us your residential steam carpet cleaning in Waxhaw, NC job. We make sure that you get professional quality residential steam carpet cleaning experience at an affordable price. Mr Clean Carpet Cleaning offers outstanding commercial carpet cleaning in Waxhaw, NC so that consistent quality can be seen in every corner of your office carpet. We tend to deliver prompt, thorough cleaning of different kinds of commercial carpets using our modern equipment and expert technicians. In no circumstances, cheap and harmful cleaning solutions become part of our steam cleaning process as they might cause irreversible damage to your carpet. We work tirelessly to meet your commercial carpet cleaning need. With us, your commercial steam carpet cleaning in Waxhaw, NC will be as graceful as possible. After a quick evaluation, we offer a free and fair quote to steam clean your soiled commercial carpet, saving you time and stress. Our commercial steam carpet cleaning in Waxhaw, NC can be scheduled as per your choice for the perfect cleanness and freshness of the one of the greatest physical investments you have in your office. We make sure that your business routine does not get interrupted just because your steam cleaned carpet needs time to dry out completely. Water extraction and drying of your commercial carpet is never difficult for the technicians of Mr Clean Carpet Cleaning. Whether it is interim cleaning, carpet protection or the total carpet cleaning at your workplace, we will be on time to handle the job in desirable budget. Speak to us at (704)790-9025 and ask for an estimation specific to your carpet condition today!